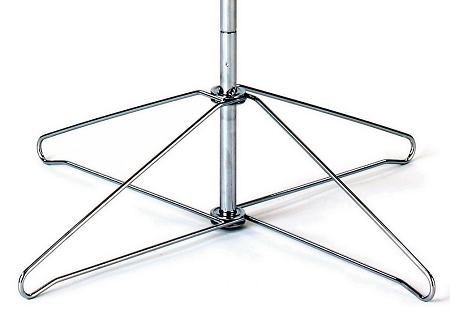 Why pay more for a spinning floor rack? 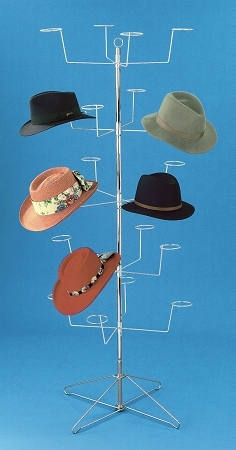 This one displays 20 hats of varying sizes and styles all on five tiers that spin individually. Plus, its low cost is ideal for economical merchandising programs. Comes in a silver finish. Ships knocked-down for lowest cost shipping. Feature: Silver finish. 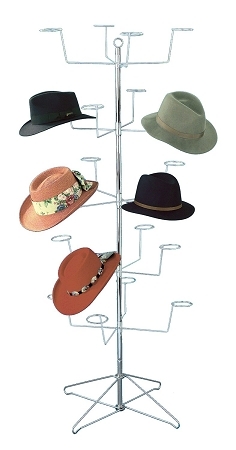 Includes 5 tiers, snap-open base, metal poles and wire sign holder. 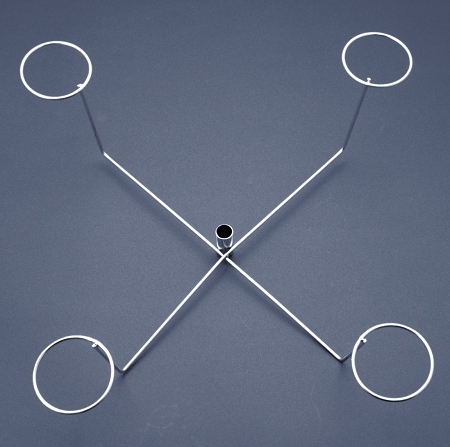 20 Pocket Wire Spinner Counter Greeting Card Display 5'x7"
16 Pocket Wire Spinner Counter Greeting Card Display Full View 5'x7"